(MoneyWatch) COMMENTARY I've been offered a 6.25 percent commission and an all-expense paid vacation at the Ritz Carlton Grand Cayman! I can hardly wait. Unfortunately, I'm going to have to wait forever, since I won't be taking the insurance wholesaler up on this offer, which was emailed to me last week. All is not lost though, because it offers an insider's view of what so-called planners can do to you. The email came from Dallas Financial Wholesalers (DFW), though the sender was "FIRE SALE" and the subject subject line was "6.25% COMMISSION." The email stated the client would earn 8.25 percent for the first year and 3.57 percent for nine years. Also, in big letters was a reminder of "6.25% Commission." The email provided a link to "play audio," where clicking on the hyper-link allows you to listen in on what DFW is telling planners. You may want to do this before reading the rest of the story. You'll hear how I could make this big rate and join DFW at the Ritz in Grand Cayman. You'll hear what planners are told about this "CD Annuity." You'll hear how I'd get a 6.25 percent commission "to sell this little annuity." As the recording states, "Everyone wins with this big fixed rate and big commission." Well what would be wrong with me making this big juicy commission? 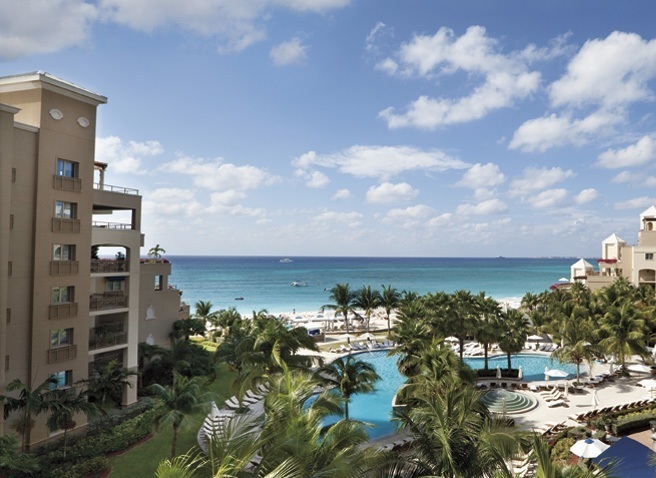 Why shouldn't I enjoy a few days on Grand Cayman Island? Personally, petting the stingrays is something I've never grown tired of. Can you earn a fixed rate of 3.57 percent at a bank? I think not. After all, I'm advising some clients to open CDs paying only 1.74 percent to 2.5 percent right now. Should I change my hourly planning model and get an insurance license? So I called the number and spoke with a woman named Caroline. I asked for some more information. She explained the insurance company's name is Liberty Banker's Life. And, to get that all-expense paid vacation from August 20-25, I'd have to sell $1.5 million of this product or one from a sister company. I interpreted the advertised rate as 8.25 percent for the first year and 3.57 percent thereafter. But the paperwork DFW sent showed the rate for the following years to be only 3 percent, though the insurance company could pay more at its discretion. And, since the insurance company is paying great commissions, my clients would pay large surrender fees, as high as 16 percent. The deal killer, of course, was what wasn't in the advertisement. Liberty Banker's Life has an A.M. Best credit rating of "B-." DFW didn't mention this in the advertisement, but the "about us" page on Liberty Life did. A.M. Best defines this rating as the bottom of the "fair" category in a column labeled as "vulnerable." Not exactly the same as a CD backed by the U.S. government. An annuity from a "vulnerable" insurance company might be more comparable to a "junk" bond fund. The Vanguard High Yield Bond Fund was yielding 5.71% on the day I received this email. While your state insurance fund is supposed step in if Liberty Banker's Life goes belly up, I wouldn't count on it, as states don't have money and it could take a very long time, if at all, to get the funds from other insurance companies. On the other hand, the annuity doesn't have the liquidity of the junk bond fund. I twice asked DFW why the company didn't mention the B- credit rating of the insurer in the solicitation but no one returned my email or call. There won't be a free trip to the Grand Cayman Ritz for me. I won't be changing the name of my firm to "Honest Al's Annuities," which is too bad because I think it has a snappy ring to it. As I said, all is not lost, as I got something even more valuable than the trip. I got a column giving you a glimpse into what can motivate us financial planners. Yet another example of why it is always prudent to be suspicious of exactly what motivates planners when they are asking you to trust your nest egg to them.